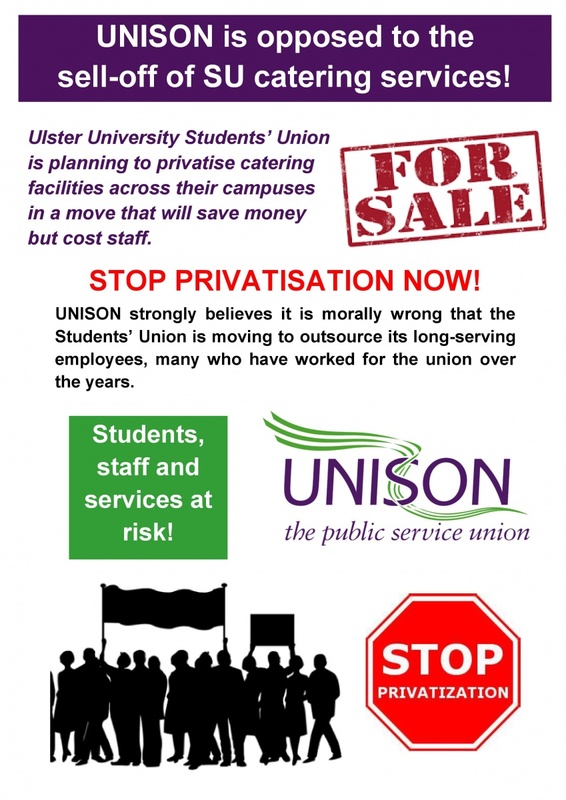 UNISON are calling for services to be retained in-house amid growing concerns that canteen facilities are being privatised under new proposals across the Ulster University campuses. UNISON strongly believes it is morally wrong that the Students’ Union is moving to outsource its long-serving employees, many who have worked for the union over the years. How will it affect the staff? Contact UU President Kevin McStravock and UUSU Chief Executive Officer David Longstaff to demand that this proposal is rejected.